Plastic rattan baskets are more and more popular in home decor nowadays. They are unique, novel, good looking and durable. Can be widely used in home, kitchen, office, restaurant where every needs stuff storage and assortments. PP style rattan baskets are molded by injection mould, which can be professionally made by our mold factory. Recent years we have made many kinds of rattan design box mould, rattan tray mould, rattan container mould for our respectful customers. Thanks for their trust to support us as always. 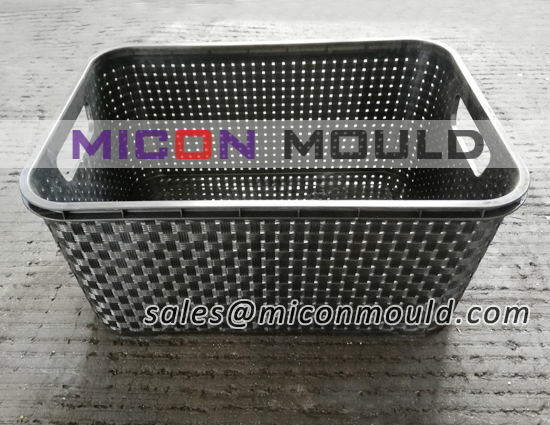 The plastic rattan basket mould needs high quality plastic mould steel to get excellent surface texture. The important factors for a plastic rattan basket mould are the design, mold steel, mold runner, experienced mold makers. The rattan basket design, you can find the latest basket you like in the market, our mold designers can make it same drawing as the sample. We will get accurate structure and measurement data from 3D measuring machine. Accuracy is our mold maker’s first responsibility. 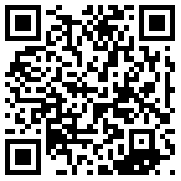 Second is the rattan basket mold steel, we can use any type of steel appointed by customers. Commonly use S45C as mold base, the mold core and cavity P20, 718, H13, NAK80, 2316, 2344, S136 etc… each type of steel has different properties and hardness, we suggest the suitable steel to customer according to budget and product structure. Ensure the mould life to get maximum and get the production profitable as much as possible. The rattan basket mold runners can be cold and hot runner. It depends on product structure. Hot runner system can shorten the cycle time and save material, improve the mechanical properties of the surface quality of the product and improve the surface appearance of the product. The hot runners such as DME, Master, Hasco, Yudo, Incoe, Husky,etc, can used according to customer requirements. Likewise, the mold cost is higher than cold runner. Last but not the least, the experienced plastic mould making people. 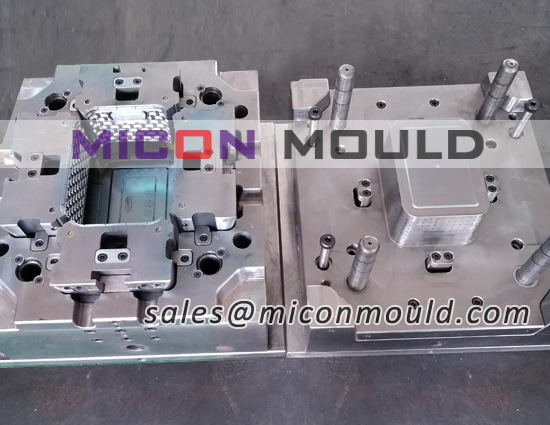 Our engineers, technicians, workshop workers, all are full time and experienced in mould industry for many years. Every day work hard to complete every plastic mold project successfully. If not them we cannot build any mould.